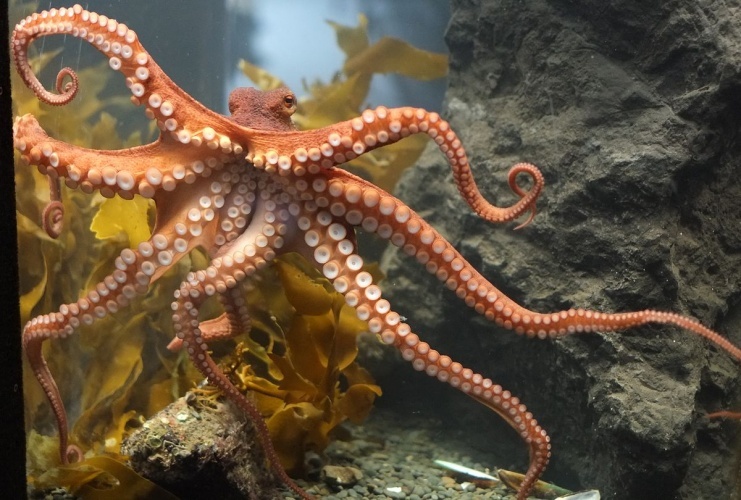 Physicists and engineers from Cornell University have taken inspiration from octopus skin to design a new stretchy camouflage material. Octopuses and cuttlefish have small protrusions called papillae on their bodies, which can take on different shapes to help the cephalopods blend into their surroundings. The Cornell team mimicked this by embedding a laser-cut fibre mesh in a stretchy silicone elastomer. Using pneumatics to actuate the skin, small protrusions could be created in desired configurations similar to octopus papillae. The researchers refer to the technique as CCOARSE – Circumferentially Constrained and Radially Stretched Elastomer. “To design a particular shape, you figure out what its slope is at every point, then you design the amount of strain by including more or less mesh in the region,” said Itai Cohen, a professor of physics at Cornell’s College of Arts and Sciences. The work, which appears in the journal Science, was funded by a grant from the US Army Research Office. Though the military is primarily interested in the technology’s camouflage potential, there are several other possible applications including robotics and collapsible structures, as well as using the skin to control surface temperature. “There are many complicated ways to create a texture change in a robot, but we wanted a very simple way to do it,” said Rob Shepherd, assistant professor at Cornell’s Sibley School of Mechanical and Aerospace Engineering. According to the researchers, future work will focus on the ability to change colour as well as texture, and to create more precise shapes with higher-resolution laser patterning.